Downtown is experiencing an influx of investment and development. Working with both the public and private sectors, the Tampa Downtown Partnership has taken a lead role in encouraging this development. 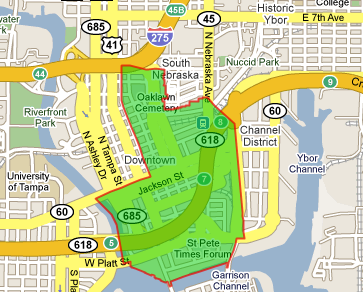 The Tampa Downtown Partnership is “the keeper of the flame” for downtown Tampa. The Partnership has a memory of downtown’s past and a vision for its future, and actively identifies the steps needed to accomplish this vision of downtown as an active city center, bustling with people. The Partnership has benchmarked the best practices of other successful downtowns and created new initiatives for downtown Tampa. The Partnership has played a major role in securing the residential development popping up all over downtown. Now, the Partnership is working to secure amenity retail including convenient grocery stores, drugstores, retail boutiques, as well as cafes, restaurants and culturally oriented uses for downtown. Additionally, it is pursuing the vision of North Franklin Street as an urban entertainment district complete with nightclubs and trendy restaurants.